and quality painting is what we deliver. Hi, my name is Adam and I am a proud founder of Adam’s Painting Company. With over fifteen years of experience as a family company, we know that you deserve the best in exterior/interior quality painting, wallpapering, staining, power-washing, plastering and many other services from painting a bathroom, child’s room, hallway, deck… to painting an entire house! Adam’s Painting provides high quality house painting services as well as all around house repairs. So go ahead and put some color in your life! Adam’s Painting is a well-established painting company serving people and businesses in the Tri-state area, Westchester, Stanford, Greenwich, Orange, Rockland, Connecticut, Putnam, Scarsdale, and the NYC Metro area. References are provided upon request, we are fully insured and our pricing is competitive. 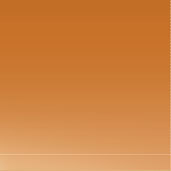 In addition, we provide you with a great tool which will help you with picking perfect colors for your household. It is a fun, quick, easy and free service for you. 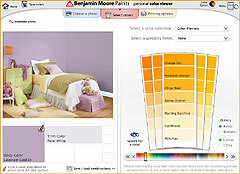 Benjamin Moore Paints has been our friend for many years and now with their personal color viewer which allows you to select colors from almost 3000 samples you can see thousands of possibilities, which will save your time, money and will make our job a little easier. Remember, the sky is the limit, so use your imagination and let us help you with creating your perfect home, room or living space. Let us get started and enjoy your time on our website. in ways you never imagined!
. :ABOUT US:. .:SERVICES:. .:PORTFOLIO:. .:ESTIMATES:. . :CONTACT US:.